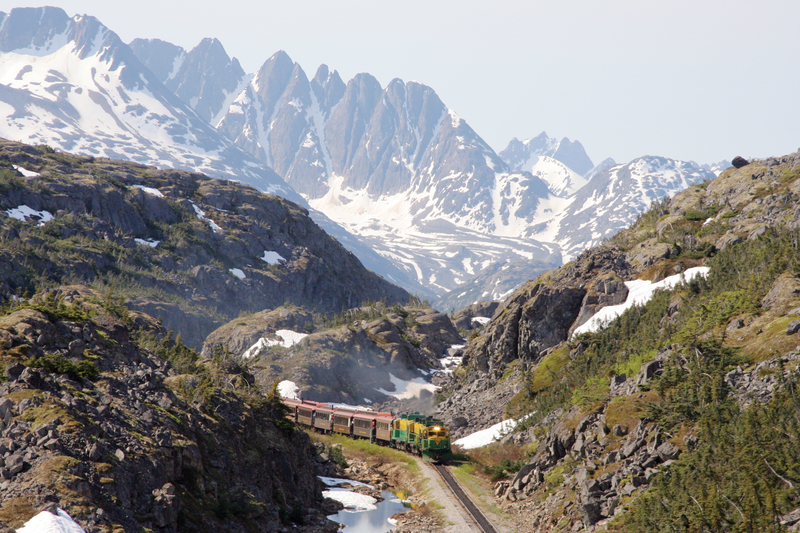 A combination of two great excursions for an encompassing experience of the Skagway area! Join us on a wonderful combination of two great excursions for an encompassing experience of the Skagway area! 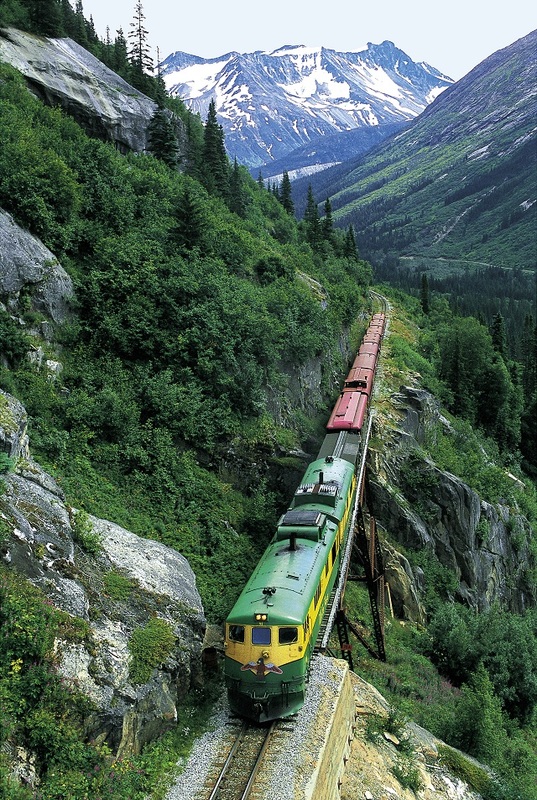 You board the historic White Pass & Yukon Route narrow-gauge railroad for a scenic hour and a half trip through the coastal mountains to British Columbia, Canada. There you meet your professional guides, versed in the ecology and history of the area, who take you for a short van ride along the scenic Klondike Highway to the summit of the White Pass. After a bicycle and safety orientation, it is fifteen scenic miles downhill from the summit to the sea! As you coast along the paved Klondike Highway on this one and a half hour bike ride you make multiple stops for photos of the historic White Pass & Yukon Route Railroad, cascading waterfalls, awe-inspiring glaciers, majestic mountains, and other historic sites. You even get to ride your bike across the US border! 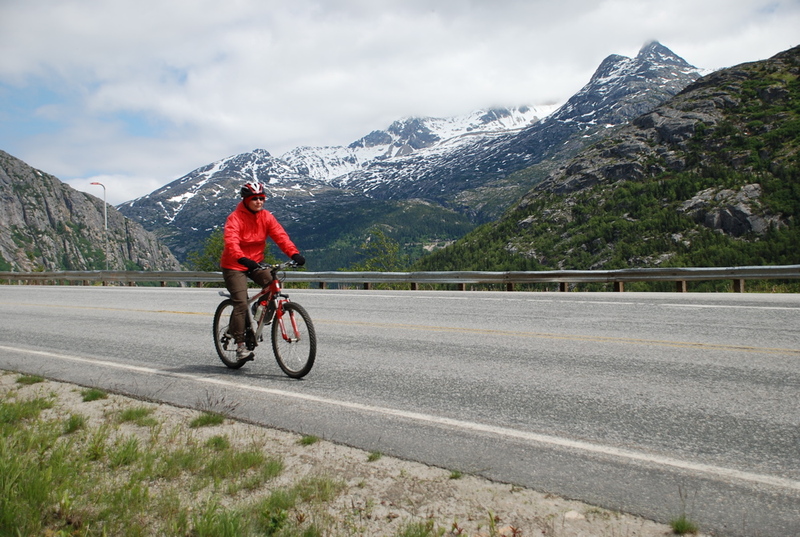 After your thrilling ride, enjoy time in historic downtown Skagway. 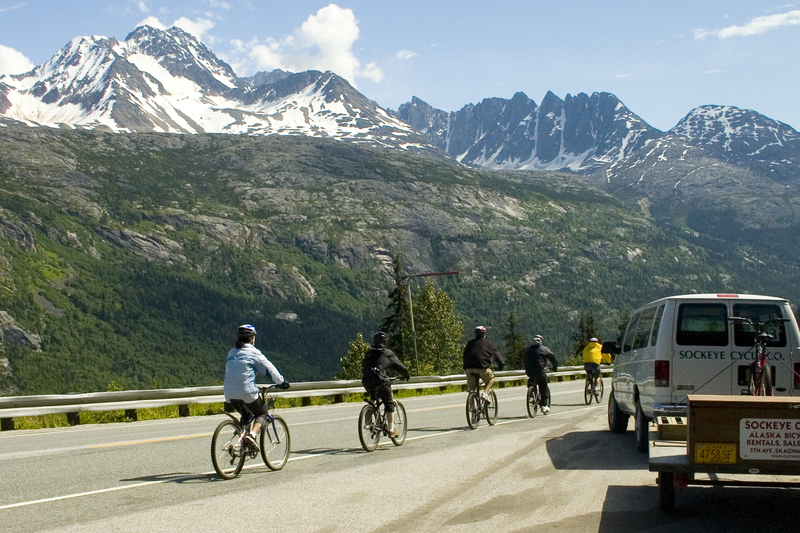 On this tour your senses awaken to sights and sounds of Alaska that can only be experienced on two wheels. 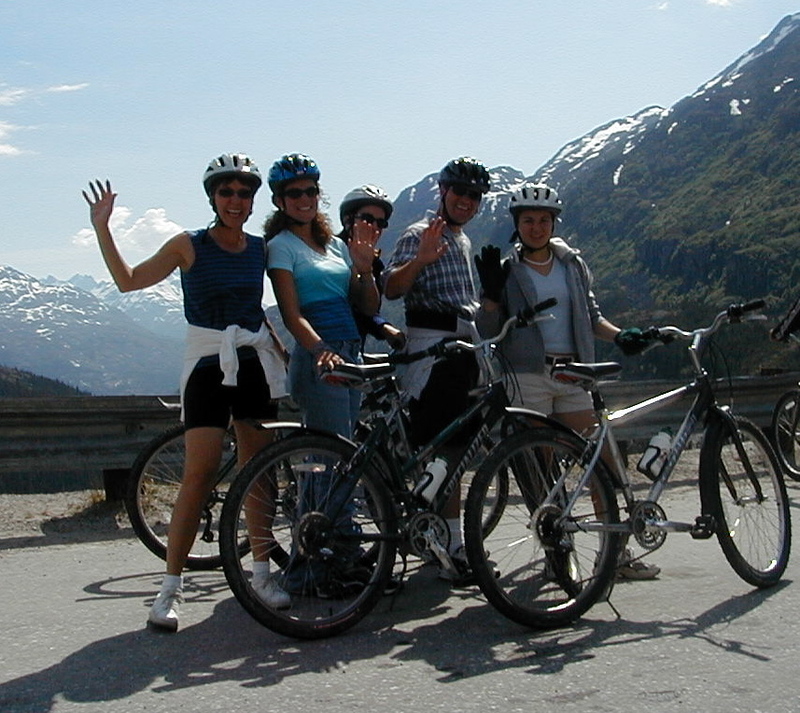 This fun excursion offers a unique way to tour Skagway and the surrounding area. 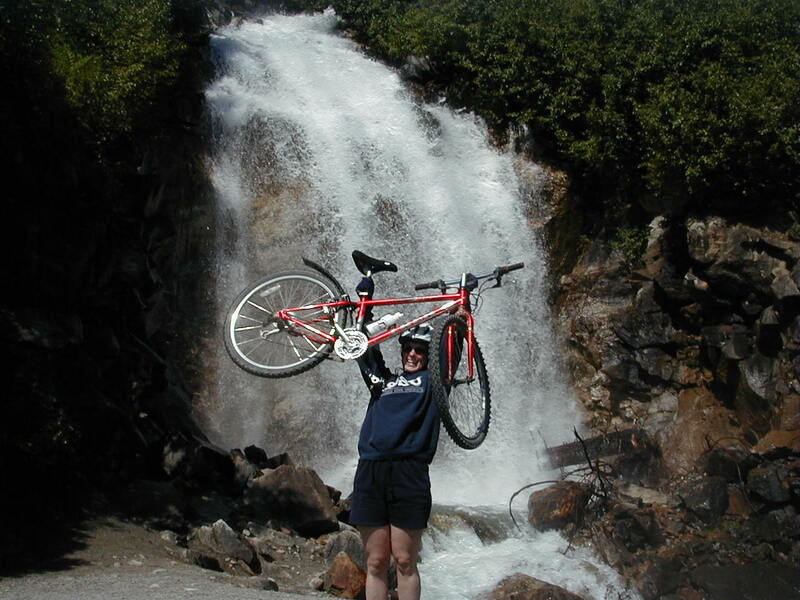 Experience the great Northern outdoors, get some fresh air and go biking with Alaska’s original bike touring company! Combine two great excursions: a historic train trip up the White Pass and a bike ride down. Enjoy an intimate touring environment with a 1:6 guide to guest ratio. An encompassing experience of the Skagway Valley. Notes: Participants must be confident on a bicycle with hand brakes coasting downhill at speeds between 15 and 25 MPH (23 - 40 KPH). Passports and other necessary immigration documents are required for US and Canadian border inspection. Helmets are required. Participants must be at least 13 years old and 4’ 6” in height. Sport shoes and layered clothing are recommended. Helmet, rain/wind jacket, pant, and fleece gloves are provided. The ride is approximately 15 miles. Tour time may vary depending on delays at the US Border crossing.